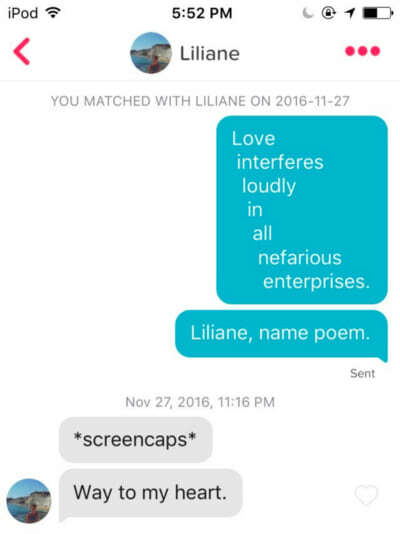 It can be difficult crafting the perfect opening line when you finally match with someone on Tinder, but one guy’s sussed the perfect way to break the ice. 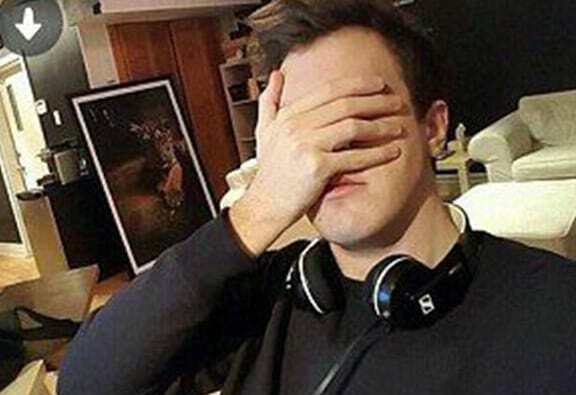 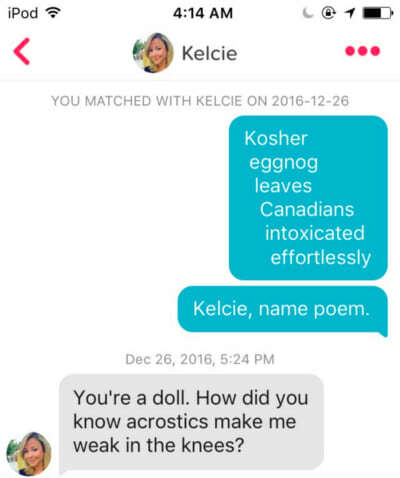 Rather than shower girls with praise or opening with a cheesy chat-up line, Joe Bagel, a 25-year-old Canadian man, has been writing name poems, also known as acrostics, for those who match with him. 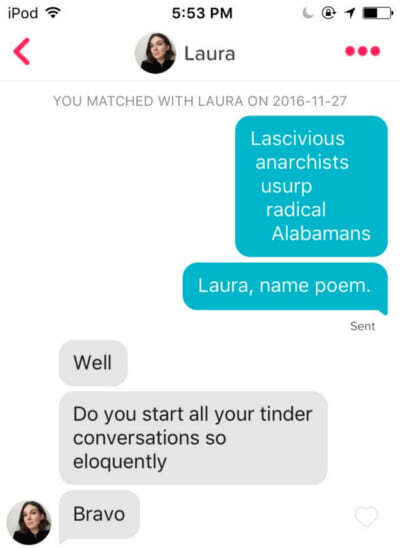 It’s an odd opening gambit but it’s certainly better than texting them facts about cats or showing them your dank meme collection. 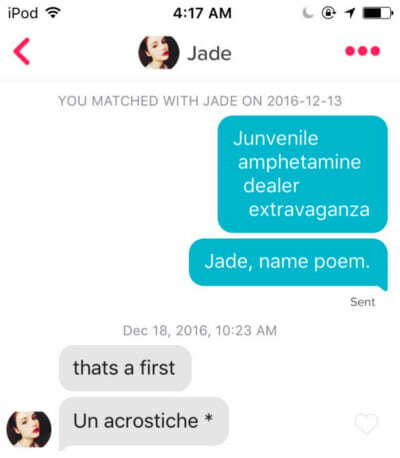 Ladies love a dank meme, of course, but this method is working for Joe who claims to have a 100 per cent success rate. 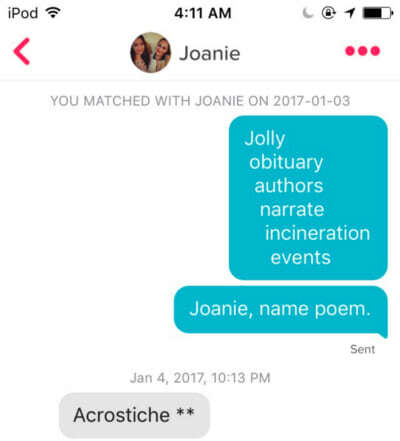 Joe came up with his acrostic technique when he realised that ‘having a bad first message is often the epistolary iceberg that sinks your romantic Titanic’ and wanted to up his Tinder game. 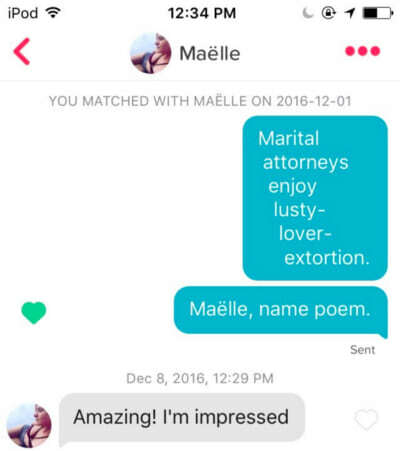 He believes the reason the technique is so effective is because it’s personal and makes your match feel special.